Warfarin (marketed under brand names like Coumadin, Jantoven, Marevan, and Waran) is a drug that inhibits blood clotting – the formation of insoluble fibrin clots which stops bleeding. The drug is used to prevent/treat thrombosis – the formation of blood clots that can cause life threatening damage (through clogging of blood vessels). Since the natural clotting ability is inhibited with this drug, serum concentrations elevated above the intended level can lead to severe side effects – life-threatening bleeding complications. Consequently, monitoring of patients using Warfarin is critical. Some patients are at higher risk than others, and pharmacogenetic analysis can identify individuals that are either overly sensitive to the drug or metabolize the drug inefficiently. Both these conditions leaves the patient in risk of complications. Such patients should be monitored carefully and a reduced Warfarin dose is usually strongly recommended. Blood clotting is a multistep process involving a number of proteins and co-factors (see image above). 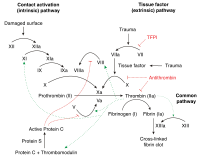 Warfarin inhibits the maturation (post translational modification) of some of these proteins, clotting factors II, VII, IX and X. Unmodified, these factors will not function properly and the formation of the insoluble fibrin clot is inhibited. 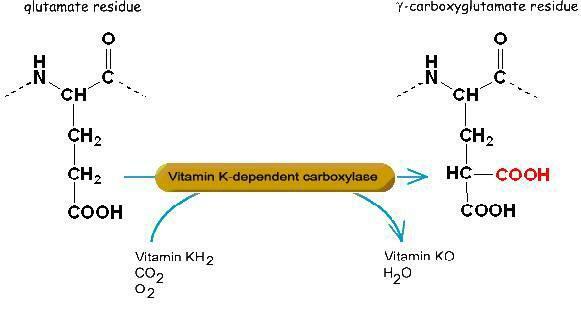 Vitamin K is decarboxylated in the process and needs to be recycled. 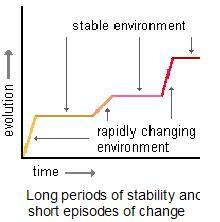 The enzyme Vitamin K-epoxide reductase (VKORC) is essential in this cycle. It is this re-carboxylation by VKORC that is inhibited by Warfarin. 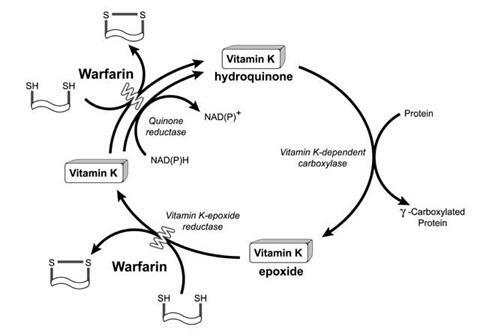 Warfarin mode of action summary: more Warfarin leads to less Carboxylated Vit K. Consequently less Factor II, VII, IX and X is carboxylated and inhibition of clotting occurs. VKORC1 polymorphisms also explain why African Americans are relatively resistant to warfarin (higher proportion of group B haplotypes), while Asian Americans are more sensitive (higher proportion of group A haplotypes).VKORC1 polymorphisms lead to a more rapid achievement of a therapeutic INR, but also a shorter time to reach an INR over 4, which is associated with bleeding. Contributing to haplotype group A is a polymorphism in the regulatory region of the VKORC-gene. The A-allele of this SNP decreases the activity of the VKORC-promoter (less mRNA – less protein – higher proportion of total VKORC protein affected) and subsequently increases Warfarin sensitivity (see OMIM for more). This polymorphism (or ones in linkage with it) is normally among the SNPs that are tested for in the lab. To conclude, identifying individual genetic variations allow us to predict protein variations that in turn predict sensitivity to certain drugs. In the case of Warfarin such pharmacogenetic analysis can be life saving.